Cult Gaia’s Ark Clutch first made waves when it launched in natural bamboo that not only looked chic, but came with a price point that was also affordable. Over time, they introduced acrylic versions in an assortment of colours, in materials that are water-resistant, structured and guaranteed to stand the test of time. Today, the cult label (no pun intended) has introduced a gold-tone version which goes one notch higher, taking the prize for the shiniest ever Cult Gaia. 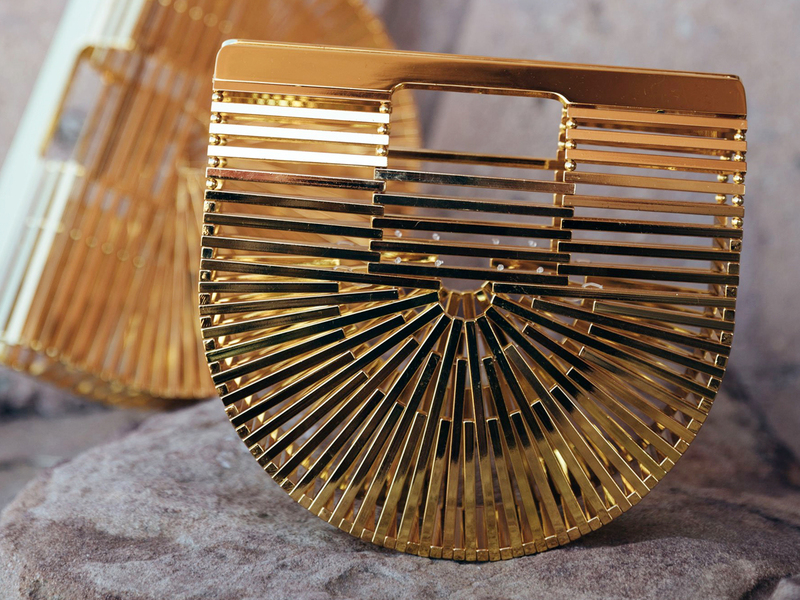 The perfect arm candy to carry around with you this holiday season, the gold-tone clutch (essentially made of polished brass) is one that can be carried day and night with ease. Just remember to dress minimally and let the bag shine. Measuring 23 cm by 18 cm, the Mini Ark Clutch in Gold (SGD645) is pretty roomy, with sufficient space for your daily essentials like a compact wallet, mobile phone and even a portable charger that’s pretty much all you need these days. Looking for a statement-making bag that won’t cross the SGD700 mark? You’re looking at it. Available now over at NET-A-PORTER, you could also check out the other lust-worthy pieces in Bagaholicboy’s Picks as well.